Khinumaya desperate to know the status of her missing husband - Integration Through Media ....! 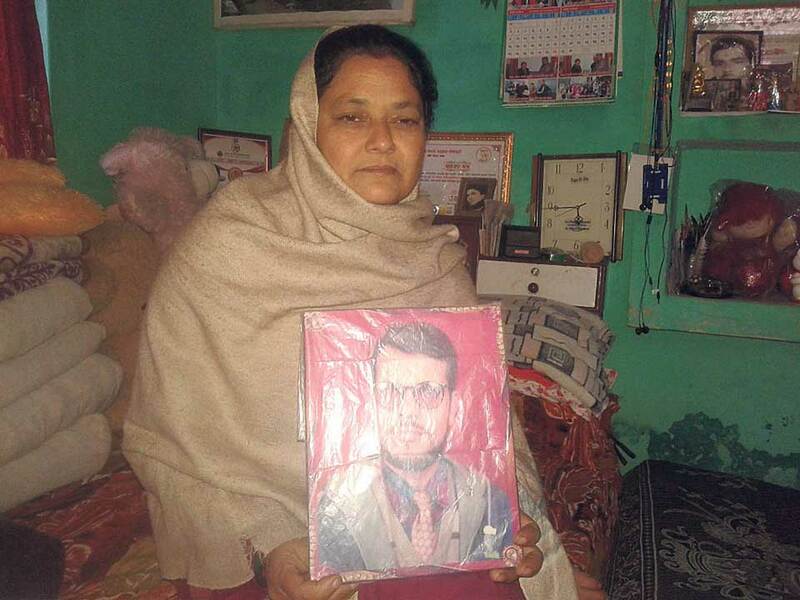 Kashiram Sharma, NEPALGANJ: Nineteen years have gone by since Khinumaya Pathak of Banke has been desperately waiting to know the status of her missing husband. Dhakaram Pathak was forced disappeared by State security forces on the charge of supporting the then Maoist insurgency in 2056 BS. At the time, he was a school teacher at Baijapur of Raptipari and had been taken away by the then Royal Nepal Army from Bardiya. Since then, Khinumaya has been living with invisible pains caused by the unexplainable absence of the loved one. Following the incident, the Pathak family had shifted to Kohalpur municipality-11 from Baijapur. It was obviously a grave challenge for Khinumaya to bring up her two small children as a single parent with the disappearance of her husband in one hand and to continue her fight for justice for the past 19 years on the other. But, Khinumaya is not alone in the district continuing her efforts to be confirmed about the fate of her loved one. The data shows that a total of 121 people were forced disappeared by the State or rebel side in the district during the decade-long Maoist insurgency. “But justice remains a far cry, the government responses to our calls keeps us in confusions. The government wants to linger the issues. We don’t want to live with uncertainty anymore and want to be clear about the fate of our loved ones,” she said. The families of the missing people expect the government to provide them the mortal remains of their missing members and say that it is unable to do so. Additionally, they need support for livelihoods, education and employment opportunities for their children and other family members. As she said she was almost sure that her husband would not come back. But, the family is not able to perform his final rites. One day she received a letter from the Commission for the Investigation into Forced Disappearance stating that missing Pathak was no more alive, which has given an additional pain to the family living with intense suffering. Her complaint is that the commission responded to the case without any investigation and evidences. The signing of the Comprehensive Peace Accord in 2006 that had formally brought the then rebelling Maoist to the mainstream of politics had instilled a ray of hope in the families of missing people including Pathak as the Agreement promised to make public the status of the missing people within the 60 days since the signing of the pact. “But hope for justice has now faded away. I am tired of running for justice,” she said.